April is School Library Month, and this year’s theme is “Your School Library: Where Learning Never Ends.” No tag line could be truer. Librarians are lifelong learners by nature. Whether it is the newest educational theory, the latest research methods, or the newest educational technology push, librarians love to learn and share new things. When considering a new educational technology initiative, such as purchasing Chromebooks, going BYOD, or choosing educational software, districts often consider many things, including cost, return on investment, effectiveness, and necessary professional development. But one thing they may not consider is their librarian. Libraries and librarians are at the forefront and often the hub of the school. They are a community resource, a public face, a service profession, a helping hand, relationship builders, collaborators, and educational technology leaders. Librarians of 2015 are not the same librarians you remember from 1985. They still order books and teach research skills, but it is very rare to hear them shushing students, or hiding meekly behind the stacks. Librarians wear a number of hats and information literacy is closely tied to educational technology. “Research” skills have evolved rapidly in the last 20 years and much of that evolution is because of educational technology. “The role of the librarian continues to evolve, and technology is the driver behind that. This group represents an essential voice within the national and international edtech and connected learning conversation,” says Marshal Conley, senior consultant, American Institutes for Research. When computers first made their way into schools, they were often found in the library. One computer terminal, possibly with dial-up Internet access, served an entire school. Librarians sought out ways to utilize those computers to increase student achievement. Fast forward to today: libraries are filled with desktop computers, laptops, tablets, Chromebooks, ebooks, Web 2.0 tools, databases, and maker spaces. “The current jobs of librarians are not only enhanced by edtech, they depend on it. The best in the library field are not only utilizing edtech, but they are the experts in the field,” says Sudah Narsipur, school media specialist at the Ossining High School in NY. We surveyed 43 librarians to gauge their daily technology use. More than 75% of the librarians surveyed estimated that they spend 50% or more of their day working directly with students, teachers, and technology. “Librarians have worked with and through educational technology for years—they have just moved from projectors and microfilm to Kindles and online databases.” says Krista, an LMS administrator in Denver, CO. Some would argue that you can’t have technology without the librarians. Having technology and knowing how to effectively integrate it into the curriculum are two different things. A school can purchase the latest and greatest technology, but without someone on the receiving end knowing what to do with it, it becomes an expensive dust collector, much like microfilm. Marifran DeMaine, a school media specialist at Putnam Valley High School in New York reminds us that librarians are “information experts who have the unique capacity to tie edtech meaningfully to classroom instruction and student achievement.” Coupled with the fact that librarians are connected to everyone and everything, you create a perfect storm. “Librarians cross all content area lines and are in a unique position to support and share tech initiatives in many different capacities,” says Sherry Fisher, an ELA teacher at Webutuck High School in New York. Librarians are often a known face in a school. “They are often on the front lines handling the tech with students and generally know about what tech is out there or soon to be out there. The most professional [librarians] make sure to educate themselves about the best edtech tools and will be ready and willing to use them when they [hit the] mainstream,” says Tara Thibault- Edmonds, a school media specialist at Rondout Valley Middle School in New York. Librarians are helpers and collaborators by nature, and they love to share. When a librarian finds a new edtech tool, they share it with colleagues, enthusiastically showing how it can be used to increase student engagement and achievement. “We showcase utilizing educational technology by modeling it in our everyday lessons and the creation of Web pages of resources for all of our constituents,” says Melissa V. Rentchler, a teacher librarian at Marshall Academy of the Arts in California. We asked the same respondents how they share new technology. While librarians are often at the forefront of technology, they are often overlooked as a resource when making purchasing decisions and driving technology initiatives. This could be a costly mistake for schools. 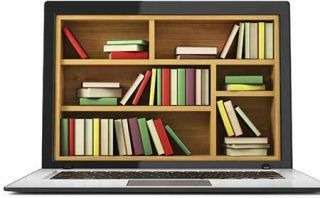 “Librarians are vital to ensuring that faculty can easily apply education technology in the classroom,” says Cherie Bronkar, director of Regional Library at Kent State University, Tuscarawas, Ohio. “They are the link to pushing educational technologies to teachers who don’t have the time or training to use new technologies.” LeAnn Weller, a librarian at the University of New Mexico, Celencia Campus, believes librarians offer solutions and provide the initiative and encouragement that many faculty need to confidently utilize technology in their classrooms. To be 21st-century college and career ready, students need to know not only how to find information, but how to evaluate, curate, present, and create it. These are all skills that librarians teach, often using the newest technology. “I am proud to be a librarian because I get to do what I love each day. I get to foster a love of reading and literacy in others while teaching students how to be digital learners. Our field is changing and growing and I’m just excited to be working during this change to combine traditional library services with edtech,” says Erin Marone, a library media specialist at Dayton Avenue Elementary School in New York. Shannon Mersand is a School Media Specialist at Yorktown High School and an Associate Lecturer at UW Stout.